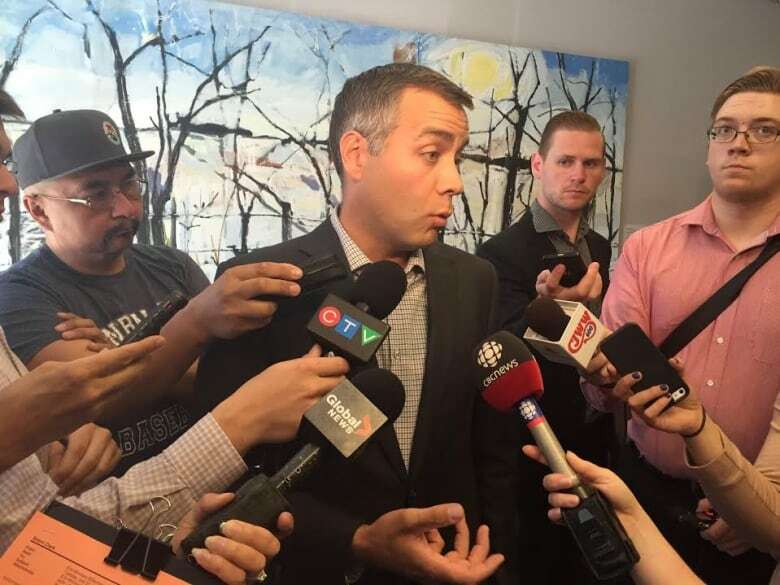 Saskatchewan's Opposition leader Cam Broten is calling for an inquiry into the government's handling of this year's crisis-level outbreak of forest fires. 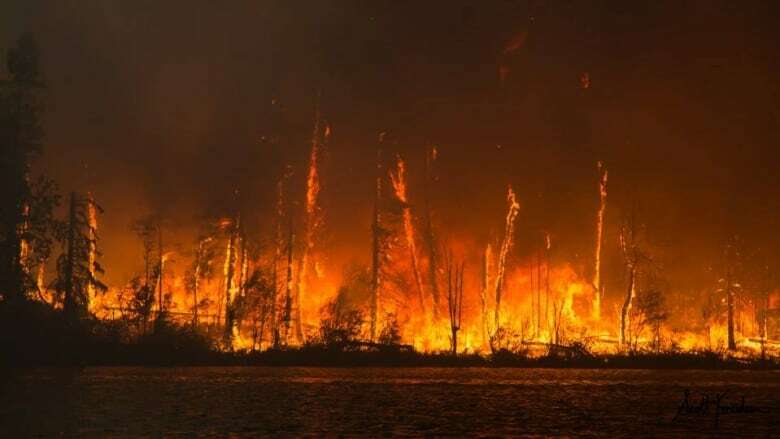 "When we have fires merging together and forming such huge fires that threaten communities in a big way, we have to ask the questions," said Broten. "What actions could have or should have taken place?" Broten said he has heard a lot of frustration from northerners about cuts to forest firefighting services and a lack of collaboration with First Nations and northern leaders. Broten points to the decline in the province's budget for fighting wildfires, from $102 million in 2009-10, to $55 million this year. He also notes a 17 per cent cut in the number of full-time equivalent employees since 2009-10. in 2012, each forest firefighting team was reduced to four members from five, resulting in a loss of 38 firefighters. Forty fire spotters were replaced with cameras. "What steps should be in place when it comes to fighting fires," Broten said. "When they should be attacked, when resources should be allocated to them, in order to prevent fires from getting so large that it's really just a scramble for the survival of communities?" Broten said the inquiry should also include an examination of the zoning system that has been dubbed the "let it burn" policy. He wants the inquiry to be independent, led by experts appointed in consultation with First Nations and northern leaders. • A joint strategy with northern leaders, the Federation of Saskatchewan Indian Nations, Tribal Councils, First Nations and the Metis Nation-Saskatchewan to hire and train many more firefighters. • A formalized partnership for First Nations to be involved in providing shelters and other vital services during future evacuations. • An improved communications protocol to ensure accurate, timely information is available to community leaders, including local MLAs, and all evacuees. • Adjustments to the Provincial Disaster Assistance Program (PDAP) to make it as responsive and fair as possible for those affected by forest fires. For example, Manitoba's PDAP now includes a provision for trappers' cabins. However, government relations minister Jim Reiter poured cold water on the idea of an independent inquiry. He said a review will be done once the firefighting operation is over, and based on past practice, it's likely to be an internal one. He pointed to floods as a precedent. "We reviewed, we made improvements to processes," Reiter said. "It was open and transparent, and I see something similar happening in this case." He defended the use of fire tower cameras, saying "in all likelihood if it was people in the towers they would have had to have been evacuated. And the cameras were still there working, able to see through smoke." Reiter also rejected the suggestion that budget cuts had an impact on the firefighting effort, saying the premier has committed to deploying whatever resources are needed. As for communication with affected communities, Reiter said the situation was changing hour by hour, sometimes by minute, and up-to-date information was not always possible to relay. He conceded that despite changing processes to include daily updates, it's possible communication could have been better, and it will be looked at in the review. He also said the immediate action the NDP is calling for will all be part of the review. No estimate of the cost of fighting this season's wildfires is available yet, he said.